With Brexit uncertainty looming over the economy and a burgeoning skills crisis, career progression and stability are at the forefront of workers’ minds. In fact, new research from City & Guilds Group, released today as part of the celebrations for our 140th anniversary, shows that 82 per cent of workers in London believe that it is important to regularly update their workplace skills. But are employers responding adequately to this appetite? Unfortunately, it would seem not. The research, based on a survey of 2,000 workers across the country, found that 29 per cent of Londoners did not learn any new workplace skills in 2018, and only just over half (55 per cent) agreed that their workplace creates an environment or culture where continuous learning is encouraged. Clearly, there are barriers that need to be overcome in order for workers to get the right level of training and development, which would enable London-based businesses to continue playing a competitive game on the world stage. So, what are those barriers? First, political and socio-economic instability is a big worry for Londoners, more than anyone else in the country. 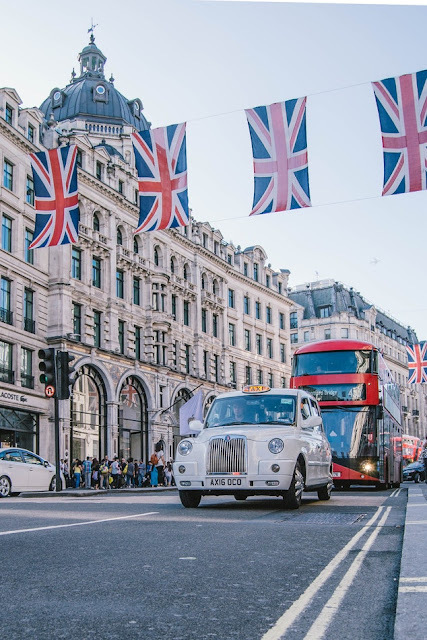 According to the survey, 43 per cent of workers in London say that they are concerned about the impact Brexit will have on their career progression, and the same proportion worry that it will have a negative effect on the availability of staff for their business. Second, technology. We live in an age of rapid technological advancement, and this of course impacts the way we work. Jobs that existed five years ago don’t now. We expect this shifting environment to continue, as 81 per cent of workers in London believe that the skills they use for their jobs now will change to some extent over the next five years. This is a stark reminder that a lack of training and development can leave them vulnerable, with their skills at high risk of becoming obsolete. And third, finance. One in three Londoners cite a lack of employer investment in training and development as a barrier to learning new skills in the workplace. This drastically needs to change. Encouragingly, it’s great to see that London-based businesses are the most likely to pay for external training for their employees – 62 per cent of those who did learn new skills had their training paid for by their employer. But more still needs to be done. Today’s uncertain socio-political environment, combined with the need for people to continue working later into their lives, highlights how important it is for the workplace to be seen as a place of learning, where skills can be continually updated at all ages and career stages. Skills gaps are affecting businesses across the capital – and the country. In a rapidly changing world, we need to address this as a priority. I truly believe that we can only attempt to fix this crisis if businesses and employees work together – sharing the responsibility for training and development. While businesses need to invest in their workforces and support them in learning new skills, this is only one side of the coin. Employees need to take more control of their own development and get vocal about the skills they need to succeed, both today and over the coming months and years. Londoners are not known for being talkative – speaking to a stranger on the tube is practically a crime. But creating a dialogue with an employer enables City workers to put their time and energy into the right training. This strategy not only supports individual career progression, but also ultimately helps employers foster a more productive and lucrative workforce that is fit for the future.